Karawita, K. V. D. H., Perera, P. K. P., & Pabasara, G. M. T. (2016). Indian Pangolin (Manis crassicaudata) in Yagirala Forest Reserve: Ethnozoology and Implications for Conservation. In Proceedings of International Forestry and Environment Symposium (Vol. 21, pp. 34). Kumarathunga, K. A. U., Prakash, T. G. S. L., & K.P., P. P. (2016). Reasons for Failures in Wildlife Crime Investigations and Court Procedures of the Department of Wildlife Conservation in Polonnaruwa Assistant Directors’ Region of Sri Lanka (Qualitative Study). In Proceedings of International Forestry and Environment Symposium (Vol. 21, pp. 122). Alwis, N., Perera, P., & Dayawansa, N. (2016). Response of tropical avifauna to visitor recreational disturbances: a case study from the Sinharaja World Heritage Forest, Sri Lanka. Avian Research, 7. BioMed Central. 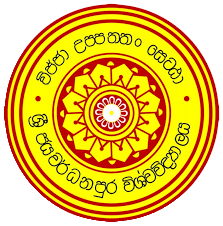 Jayawardhane, J. K. P. C., Perera, P. K. P., Lokupitiya, R. S., Amarasekara, H. S., & Ruwanpathirana, N. (2016). The effect of quality attributes in determination of price for plantation-grown Teak (Tectona grandis) logs in Sri Lanka. Annals of Forest Research, 59, 1–12. Forest Research and Management Institute ICAS Şos. Ştefăneşti nr. 128, 077190 Voluntari, Ilfov, ROMANIA. Marasinghe, S. S., Perera, P. K. P., & Dayawansa, N. P. (2015). Composition and Functional Diversity of the Avifaunal Community at an Urban Landfill in Colombo District, Sri Lanka. In Proceedings of International Forestry and Environment Symposium (Vol. 20). Sumanapala, H. D. P., Kotagama, S. W., Perera, P. K. P., Galahitiyawe, N. W. K., & Suranga, D. A. C. S. (2015). Eco-lodge Patrons in Sri Lanka A Comparison of Asian and Non-Asian Markets. In Proceedings of International Forestry and Environment Symposium (Vol. 20). Pabasara, M. G. T., Perera, P. K. P., & Dayawansa, N. P. (2015). A Preliminary Investigation of the Habitat Selection of Indian Pangolin (Manis crassicaudata) in a Tropical Lowland Forest in South-West Sri Lanka. In Proceedings of International Forestry and Environment Symposium (Vol. 20). Sumanapala, H. D. P., Perera, P. K. P., S.W., K., & and Silva, D. A. C. S. (2015). Eco-lodge Patrons' Characteristics: The Sri Lankan Perspective. International Journal of Research in Social Sciences (IJRSS), 5, 509–525. Perera, P. K. (2015). Forestry for Environmental Sustainability and Profitability: The Sri Lankan Perspective. In Sri Lanka Association for the Advancement of Science, Proceedings of the 71st Annual Sessions (Vol. 2, pp. 19–28). Sri Lanka Association for the Advancement of Science. Jayaratna, C., Perera, P. K. P., & Dayawansa, P. N. (2015). A Preliminary Investigation of the Behaviour of Rusty Spotted Cat Prionailurus rubiginosus in Captivity. Wildlanka, 3, 1–11. Department of Wildlife Conservation, Sri Lanka. Perera, P., Senevirathna, M., & Vlosky, R. (2015). Recreationist perspectives, attitudes, and perceptions towards national park management in Sri Lanka. Tourism, 63, 497–514. Alwis, R. H. N. S., Perera, P. K. P., & Dayawansa, N. P. (2014). Impact of Human Recreational Disturbances on the Distribution of Avifauna in the Sinhararja Forest Reserve, Sri Lanka. In Proceedings of International Forestry and Environment Symposium (Vol. 18). Jayasinghe, E. T. D., Perera, P. K. P., Jayawardena, D. T., & Jayakody, A. N. (2014). An Investigation on Spatial Variability of Selected Soil Parameters of Landscape under Mahogany in Wet Zone of Sri Lanka. In Proceedings of International Forestry and Environment Symposium (Vol. 18). Perera, P. K. P., & Lam, N. (2013). An environmental justice assessment of the Mississippi River Industrial Corridor in Louisiana, U.S. using a GIS-based approach.. Applied Ecology and Environmental Research, 11, 681–697. Perera, P., & Vlosky, R. (2013). How Previous Visits Shape Trip Quality, Perceived Value, Satisfaction, and Future Behavioral Intentions: The Case of Forest-Based Ecotourism in Sri Lanka. International Journal of Sport Management, Recreation & Tourism, 11, 1–24. Senevirathna, H. M. M. C., & Perera, P. K. P. (2013). Wildlife Viewing Preferences of Visitors to Sri Lanka’s National Parks: Implications for Visitor Management and Sustainable Tourism Planning. Journal of Tropical Forestry and Environment, 3, 1–10. Perera, P., Vlosky, R. P., & Wahala, S. (2012). Motivational and Behavioral Profiling of Visitors to Forest-based Recreational Destinations in Sri Lanka. Asia Pacific Journal of Tourism Research, 17, 451–467. Routledge. Perera, P., Amarasekera, H., & Weerawardena, N. D. R. (2012). Effect of Growth Rate on Wood Specific Gravity of Three Alternative Timber Species in Sri Lanka; Swietenia macrophylla, Khaya senegalensis and Paulownia fortunei. Journal of Tropical Forestry and Environment, 2, 26–35.